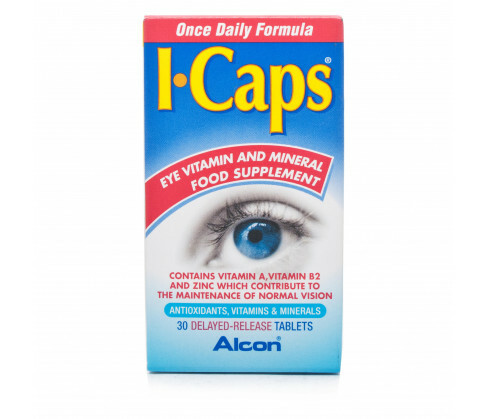 Icaps Tablet is recommended for enhancing your ocular health and maintaining a healthy vision. It is a comprehensive combination of vitamins, antioxidants, carotenoids and minerals that are proven to nourish your eyes and improve vision. Always read all labels and product manuals carefully before using this medication. Do not use if you are allergic to any of the active ingredients or excipients. Consult your doctor before taking Icaps in case you are pregnant or nursing. Discontinue use if you feel unwell and speak to a physician. Keep out of reach of children. The recommended dosage is 2 Icaps tablets to be taken daily along with your meals or as directed by your doctor. Swallow the tablet whole along with water without chewing or breaking it. You can continue to take this formulation for as long as you wish in order to maintain the health of your eyes. 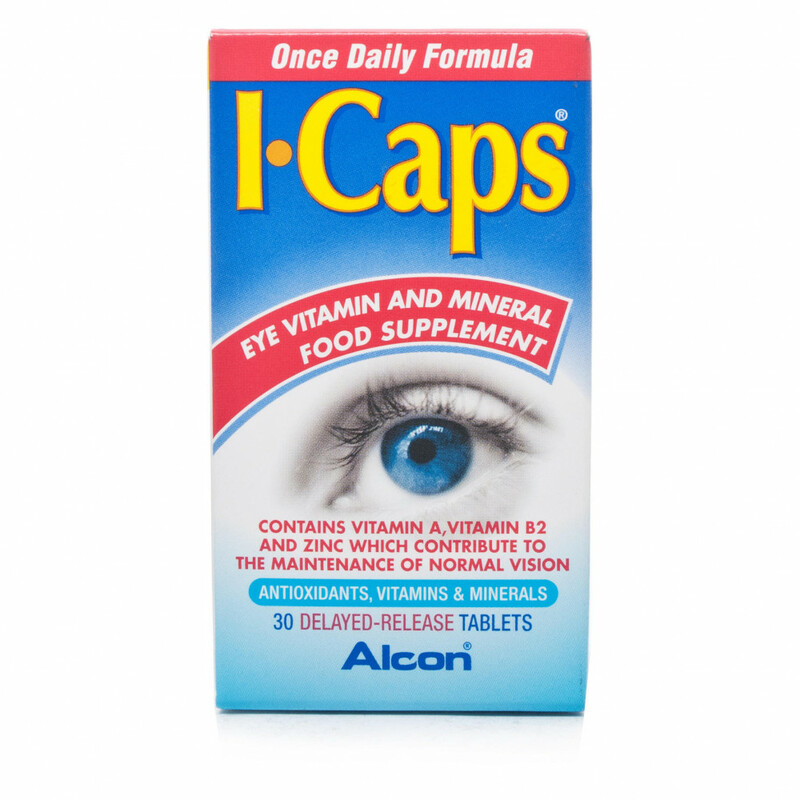 Each Icaps Tablet contains Lutein/Zeaxanthin 10mg, Vitamin E 50mg (500% RDA), Vitamin A 800ug (100% RDA), Vitamin C 125mg (208% RDA), Zinc 20mg (133% RDA), Vitamin B2 1.4mg (88% RDA), Manganese 2mg, Selenium 55ug and Copper 1000ug. It also contains Microcrystalline Cellulose, Dicalcium Phosphate, Silicon Dioxide, Polydextrose, Talc, Calcium Silicate, Acacia, Vitamin C and other excipients.